$4.65 $3.72 You save: 0.93 ! 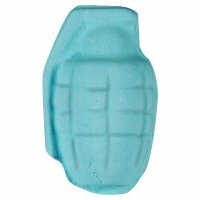 Solid Shower Gel - Yes Man by Bomb Cosmetics. 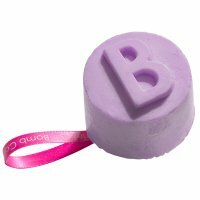 Shower gel in cube It has an extremely innovative cube shape on a string, making it Perfect to use at home and on the go. 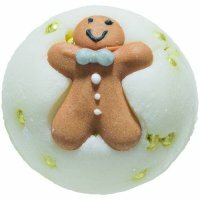 It produces an aromatic, washing foam with a very masculine aroma of black pepper and mint. In addition, the composition has been enriched with a double dose of nourishing and moisturizing Shea butter, which nourishes and cleanses the skin. The product has a stimulating and refreshing properties. Shower gel in a cube. It has a men's aroma of pepper and mint. Perfectly cares and cleanses the skin. Directions for use Put a ribbon on your wrist and rub the damp skin to release the washing, fragrant foam. 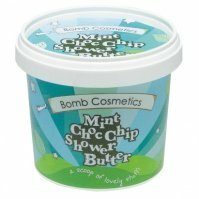 Essential oils will release their magical effects, and a double dose of shea butter will moisturize and purify. Rinse after use.